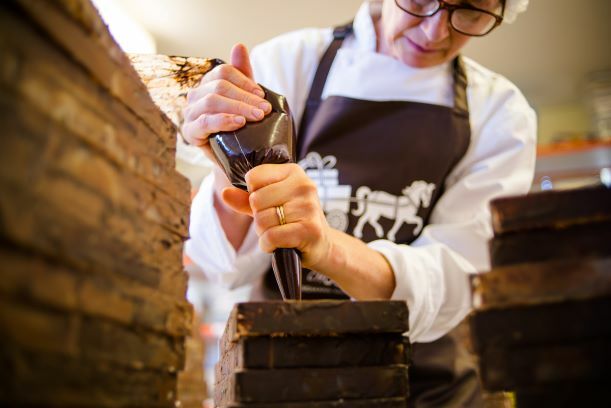 Caragh sells chocolates throughout the islands, the mainland and by mail order around the world. Visit the Chocolate kitchen to meet the team, see the chocolates being made, the chocolate tempered, truffles being dipped, moulds being released. 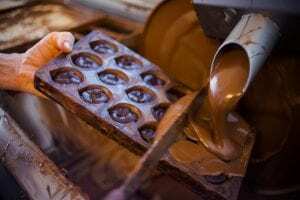 Once you pass by the viewing screens where the chocolates are being made you can visit the cafe and shop where you can find interesting facts about chocolate. To find out more, visit Caragh Chocolate’s business page by clicking here.